Plentiful parking in front of Bloomingdale’s, on side facing 405 freeway. Friday nights, light musical entertainment. Through AN Catering, our creative global culinary team can create your favorite cuisine of choice. 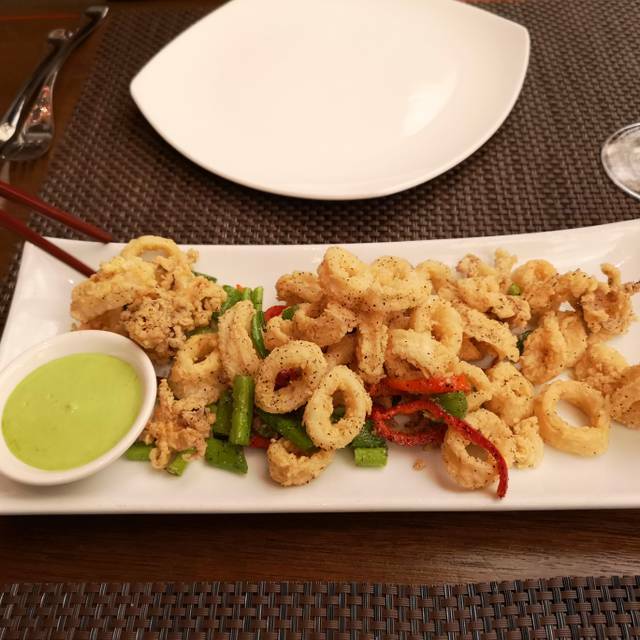 Whether it be AnQi’s California Vietnamese menu, or if you so crave, French cuisine, New American, Cuban, or even a flavorful Vegan Gluten-Free menu, our chef looks forward to creating magic for you. AN Catering also enables you to experience the cuisine of our sister restaurants, Crustacean Beverly Hills and Tiato Santa Monica. The AN Family, of the famed Crustacean Restaurant in Beverly Hills, invites you to experience their latest concept: AnQi Gourmet Bistro & Noodle Bar. AnQi serves a unique twist on California Vietnamese Cuisine, with favorites like Filet Mignon Potstickers and Miso Black Cod, as well as items from their Award-Winning Molecular Menu. AnQi is the most architecturally impressive designed space in all of Orange County, with its unique Catwalk concept and eco-friendly sustainable interior design. Winning Riviera’s 2010 Best Restaurant Decor Award, AnQi compliments its earthy-chic versatile decor with a bar menu just as fresh and organic. Sip on AnQi's award-winning hand-muddled signature cocktails, as you watch models strut down the Catwalk. AnQi is the only place you can enjoy dinner and a Fashion Show - an evening of cuisine and couture! Food was very good and extremely tasty. Value for what you get is a bit tilted to not worth the money. That said would expect impeccable service. Unfortunately we got the same waiter as before who both times was less than stellar. Not much enthusiasm and minimum attention paid to us. Was my wife’s birthday and wanted something special. It wasn’t. 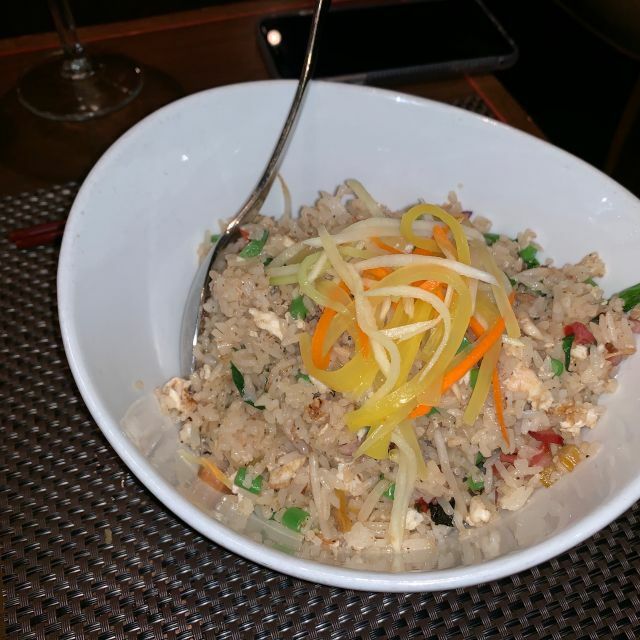 AnQi is a hidden little gem in Costa Mesa at the South Coast Plaza. I hesitate to give it a rave review for fear it will be found out and I won't be able to get a table. LOL. However, I must say, we always go there for special occasions and never once have we been disappointed. Their food is unusual and always great. 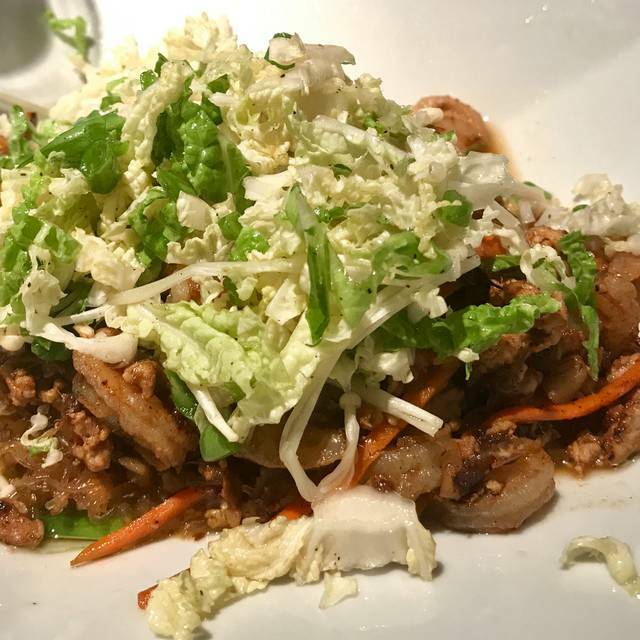 Our favorites are always the garlic noodles and the peking chicken salad for lunch or peking chicken for dinner. Their bao bin bun is beyond yummy. We had dinner here Saturday night and normally all is excellent. However the food was great but service was not. We ordered apps which all came timely, however dinner was not. We waited for over 45 mins for two entrees our waiter did not check on us and seemed to be helping out other tables. When he did follow up he had to put our orders in again. We were only offered a free dessert but after being there for close to two hours we were ready to leave. Excellent food but service was lacking. I took my nephew and his girlfriend to AnQi for lunch after our massage. Let's say it was a wonderful ending to our day. We enjoyed the eggrolls, the chicken poppers, and the entrees that we all selected. To top it off when had the ice cream made at your table. It was very enjoyable since my nephew's girlfriend could explain the process of how the ice cream was made. I'd do it again in a heartbeat! AnQi was great. Awesome selection of cocktails and appetizers. I like the crab or lobster with the garlic noodles. Went to diiner here for my birthday. Ambiance was nice and comfy and our waiter was great! Very attentive. The food was ok compared to the price. Especially the truffle fries were not good! $14 just the fries and with bare or no taste of the truffle. Their salt block steak was good but pricy and garlic noodle was not too heavy. Food was food but not compared to the price. Live music was a plus. They give birthday dessert for free. I will give another chance to this place again, but my first visit was meh. I hope For better next time. Great place to eat and unwind. Garlic noodles delicious and dessert presentation amazing! Creatively prepared and plated dishes with excellent service! Be sure to get the special ice cream prepared at the table for a fun experience. My only criticism is that the crab special offered shredded pieces, a bit dry and overpriced for $68. Everything else was delicious. The food is very tasty but very expensive and rather limits. 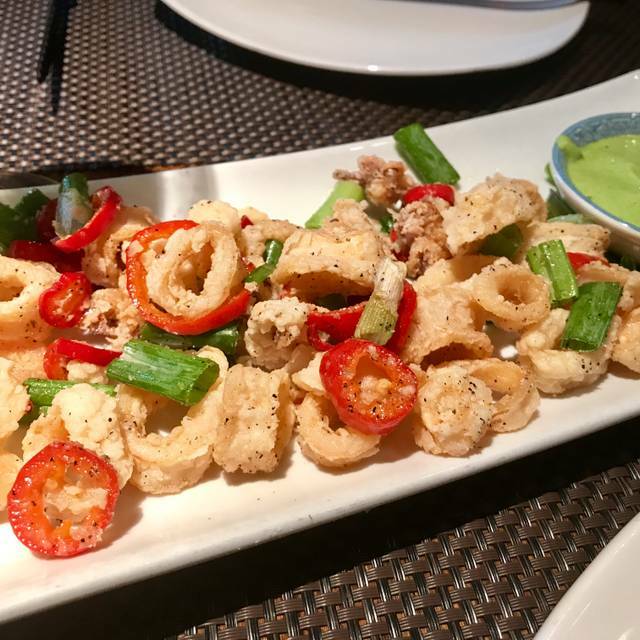 AnQi is one of our favorite restaurants! We invited friends from out of state to join us and they were genuinely impressed with the cuisine, ambiance and service. The food is not good. Greasy and small portion relative to the price. Not very good selection of food. Too pricey for ingredients that are not of high quality. 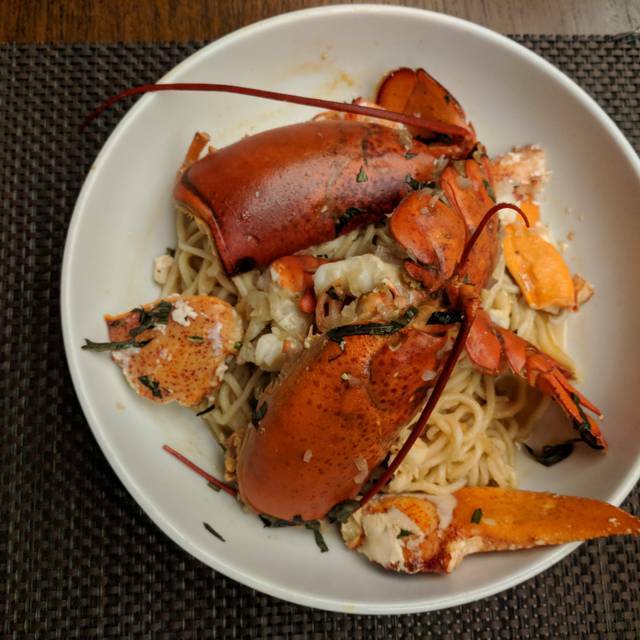 We went during OC restaurant week and enjoyed the dinner menu, especially the whole lobster with signature garlic noodles. Tuna tacos and filet entree were excellent as well. We took friends there and didn’t know they had live music. It was too loud. We could not talk or hear. Disappointing to say the least. The food was good. Service was so so. How could this dining experience be any better. 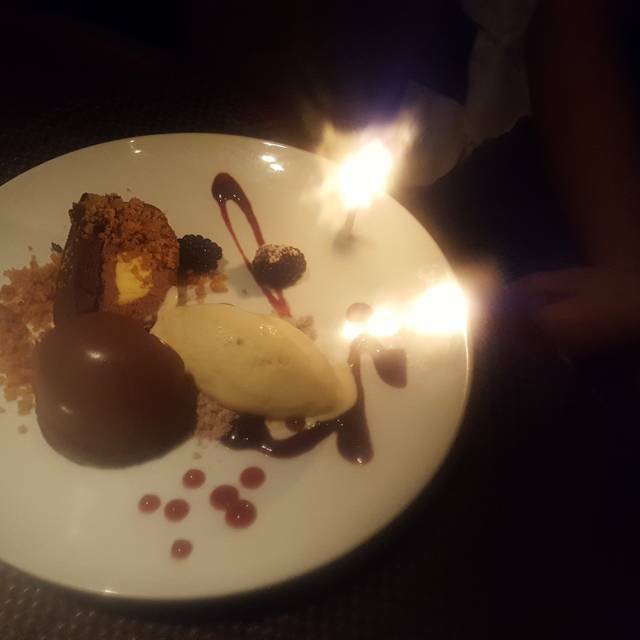 Outstanding food, prompt and attentive service, and a quiet and relaxing atmosphere. We look forward to our next visit. Lovely place, great waitress. Food was very uneven. Very, very good hamachi/tuna plate (although it would be good to put the sauce separately. Caviar was hard to capture as it was swimming in the sauce). 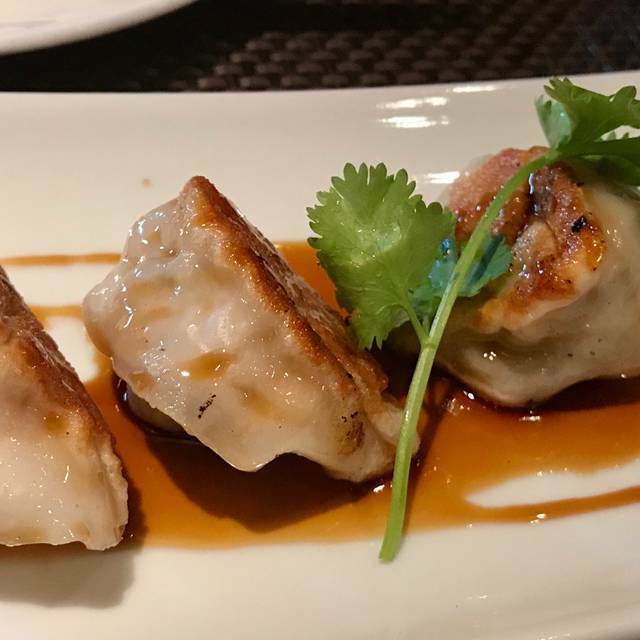 Filet mignon potstickers: meat was overcooked in the potstickers. Tempura vegetables: sliced so thin that all you could taste was the fried coating. They were very crispy, almost thick potato chip-like and difficult to dip in the accompanying sauce. Garlic noodles, ok. Dessert of ice cream and cookie! Fabulous! I would go for one of the entrees rather than the small plates or maybe sit in the bar and have a drink and the great sashimi. Add a $40 bottle of sake and one mixed drink to our meal, the bill was $150 before tip. Very consistent. You never get a bad meal and the wait staff is great. Service and food were excellent. My only request would be to lower the level of music. The food is fantastic, service was a 5 star rating. The noise level very high and the one man band needs to go! My octogenarian mom and I loved AnQi! Because we traveled from the east coast we arrived for an early dinner. we had some extra attention from our server (Simona I think was her name?) who was extremely accommodating and provided excellent recommendations. Because our eyes can be bigger than our stomachs we didn't want to fill up on appetizers and not be able to enjoy our meal. Simona suggested 2 appetizers but served only half of each to us so we could enjoy without ruining our appetite. we both ordered the Misoyaki Butterfish (Black Cod) which was sensational! It came with perfectly cooked broccolini. 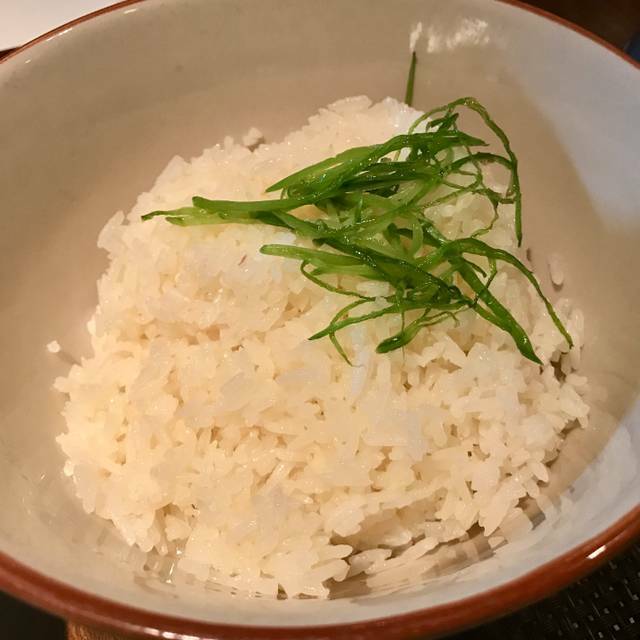 We split an order of fried rice which was more than we could eat, but we wanted to try order anyway just so we could try it! Glad we did as it was terrific! Mom liked the meal so much that she wanted to come back before we left for home. Unfortunately, we could not make that work. I loved the interior. I found the ability to move the screens to create more intimate vignettes. Because we were there early we did not find it too loud although with the high ceilings I can see that perhaps it could be. However, we had no problems hearing our selves speak! I would definitely come back to AnQi on my next trip to OC. The service was terrible. The hostess was rude and helpful at all. The waitress was not very friendly and it was indeed very disappointing based on the amount of the money spent! I do not think I will every go to AnQi again. Food and service was fantastic. Noise level was distracting for trying to have a private 1 on 1 conversation. AnQi is a really nice restaurant and a great place to have dinner with good friends. Ambiance, wait staff and food are all great. The food was pretty good, my wife had the butterfish, I had the fillet, we split the salad and garlic noodles. The restaurant was a bit louder than I'd prefer and it almost felt like we were sharing our table with our neighbors. The only serious complaint is our food took too long and our waiter spent most of his time talking to his co-workers. He actually asked if I wanted a 2nd drink, which I did and was too absorbed in his ongoing conversations to remember to bring it. We then sat far too long waiting for him to finally show back p to get the check. Like the food, was ok but not great with the restaurant but doubt we'll be returning. No excuse for poor service. Ambiance is great for groups - too loud to actually hold a convo. The food was decent not as delicious as crustaceans. We had a very good experience except they brought my husband’ s dinner late due to the wrong order! More like a nightclub than restaurant, super noisy with live music. Expensive food and drinks, not worth the cost. Loved the menu choices. Back ground music so fun. No other restaurants around are doing this and makes for a festive evening. We had 6:15 reservation and were sat at great table. Had show performance to make at 8:00, meal service went smooth and we were out in time to make the show. Would recommend to anyone that wants a short walk after eating to make performances across the street. Been here a number of occasions all good experiences. We were greeted and seated quickly. The waitress greeted us shortly after being seated and our orders came out in a reasonable amount of time. The drawback of our experience was our waitress who I did personally visually see in our area did not tend to us despite making eye contact on 2-3 separate occasions. She never came to see how the food was, if we needed refills of our beverages, and despite our lap napkins clearly on the table and her viewing that took a considerable amount of time to bring the check to the table and to return back for the payment. I would give the benefit of the doubt if it was unusually busy at the time but we viewed her tending immediately the the surrounding tables. The only person who came to check and ask us how the food was and if we needed anything is I assume to be the supervisor on duty which was within 5 minutes of us receiving our plates. Other than the situation with the waitress the overall experience was good as always. The food was quite good, especially the lobster garlic rice. However, the service was inconsistent at best. The prices seemed somewhat high. I love AnQi! The food and service is amazing every time. Still a very good place but would prefer Crustacean in BH. The open concept was too hollow and very public. For the price, there should be more privacy. For $65 on the dungeoness crab, it should be much bigger. Server did not ask if we wanted unshelled, we prefer the fun of ripping the shell off but it came unshelled. Flavor was off, not as much butter garlic flavor, too dry. The string beans were too thin but very crunchy which is good. 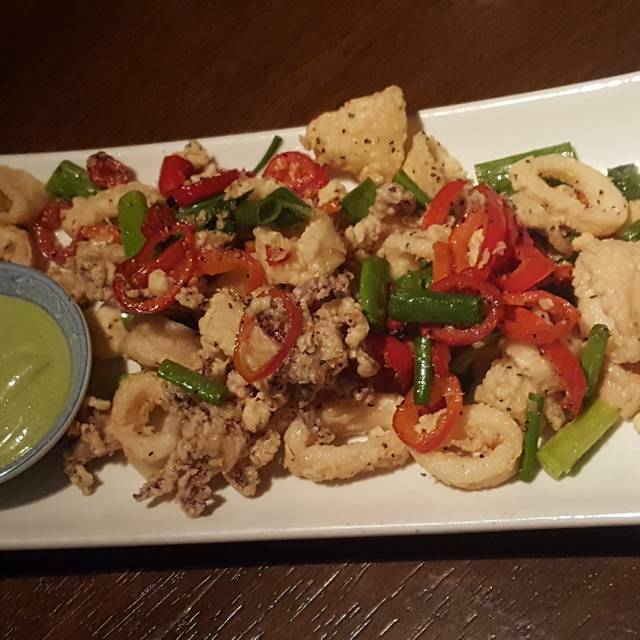 The salt and pepper calamari was average tasting but the addition of anise to the seasoning was a nice touch. The green dipping sauce was not exceptional. The banana fritters were done well but needs more fresh fruit to balance the oily batter. Coffee and decaf coffees were served luke warm which we complained and still not very hot. Coffee was not very good. This lines extension of Crustacean was not very well executed, It needs Momma An to be whipping the staff to do better. It was the Friday after Valentines Day so the restaurant was very full. It took a while to get our drinks and they weren’t great cocktails but the waiter offered to remake them. The food also took longer than the previous times I went as well but the ambiance more than made up for it. They had a singer who was fantastic. The food was delicious. I’m vegetarian so I had a bunch of small plates including the special vegetable plate, Parmesan fries, and roasted Brussel sprouts. The garlic noodles were good as always. We had the banana fritter w/ ice cream and jasmine tea for dinner. It was nice. I’m definitely coming back but not sure for Valentines Day.